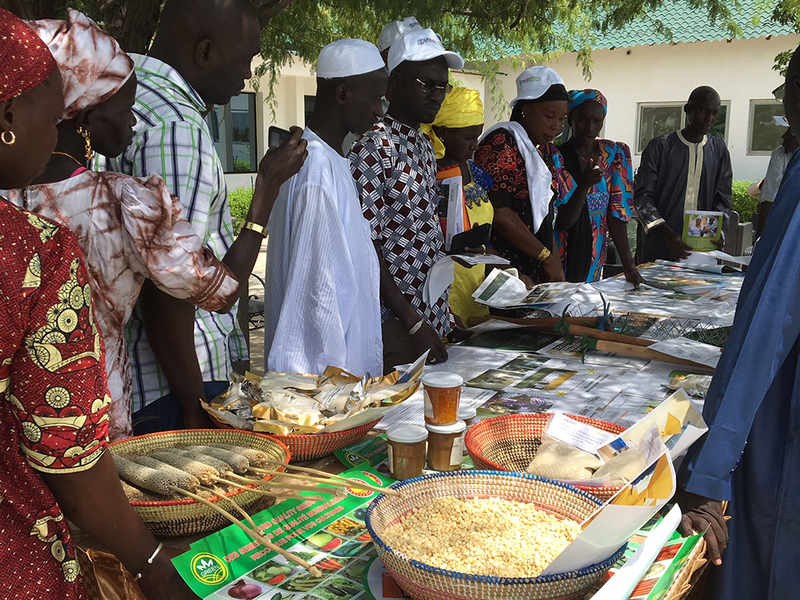 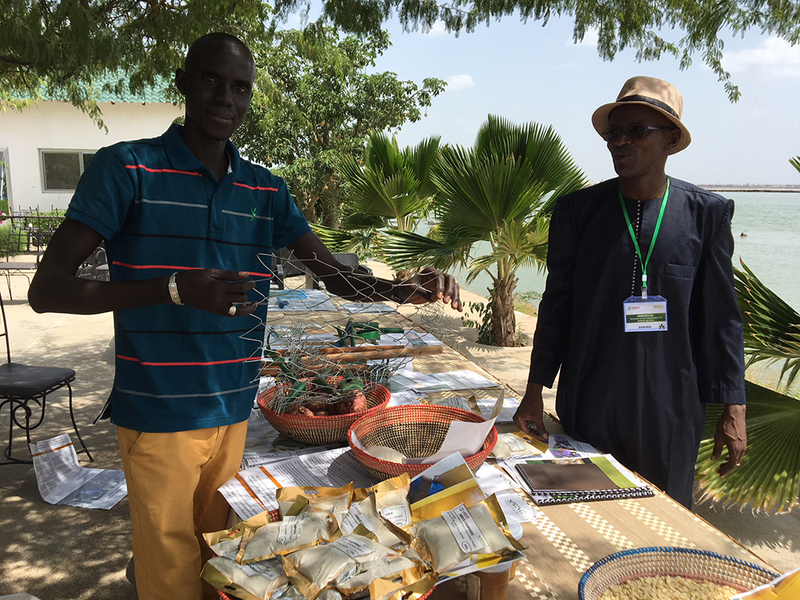 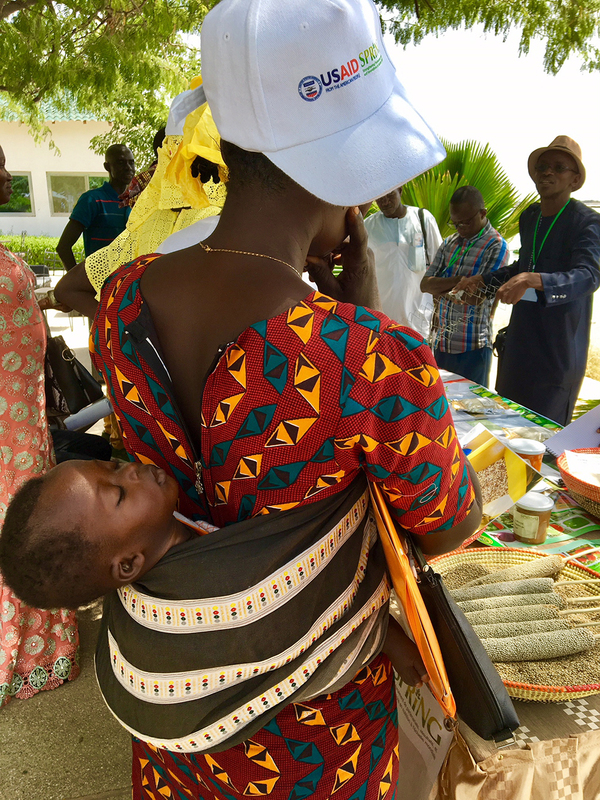 After 18 months of providing nutrition-focused assistance to communities in three regions of Senegal (Kaolack, Fatick and Kaffrine), the SPRING/Senegal project officially came to a close on September 30, 2017. 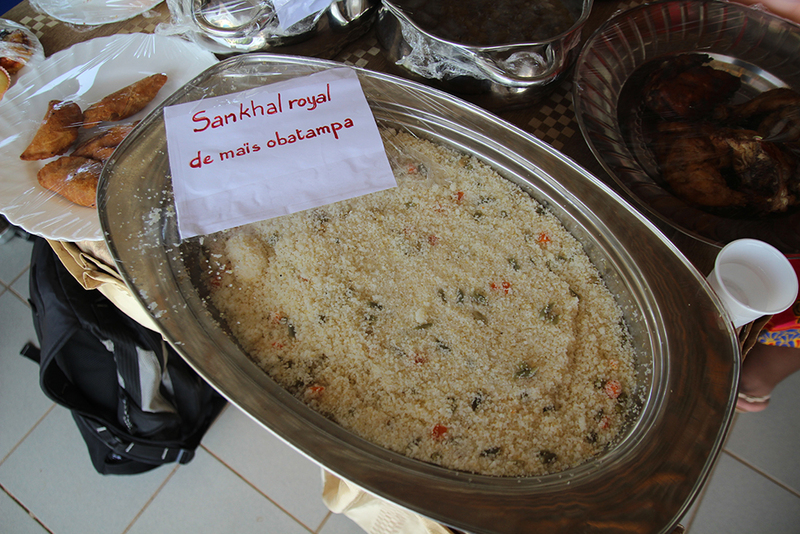 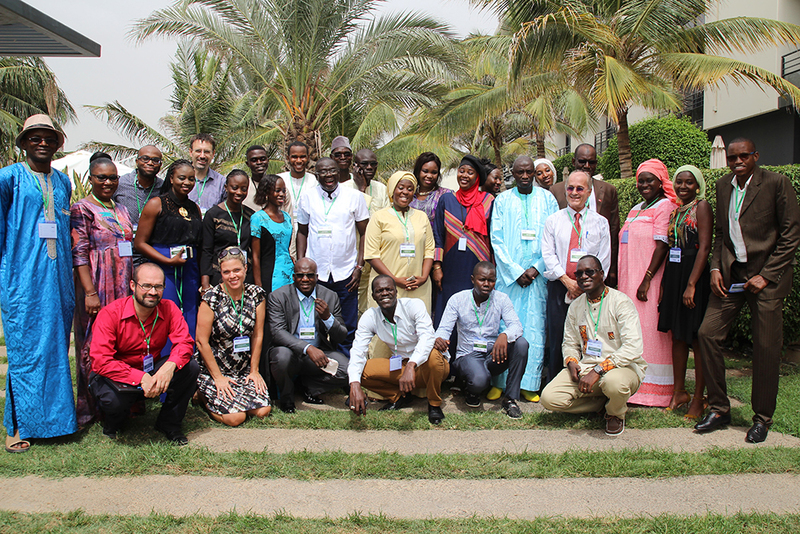 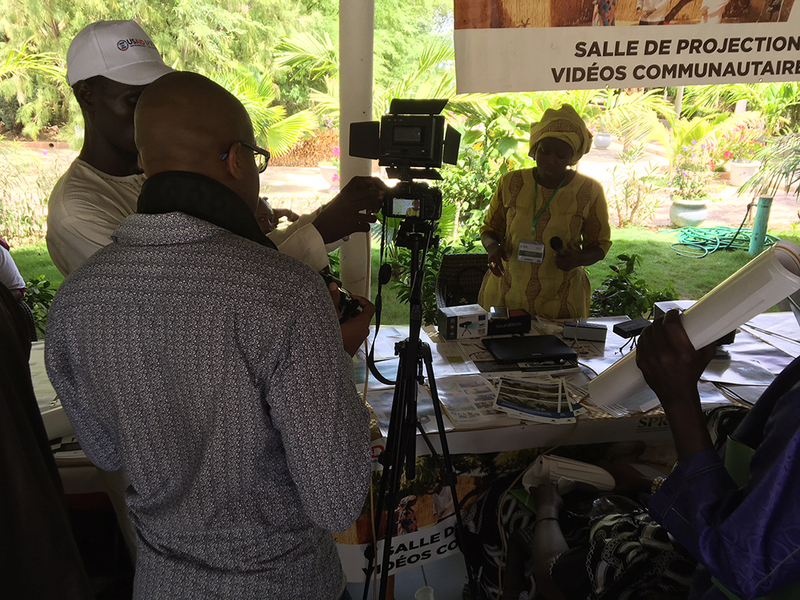 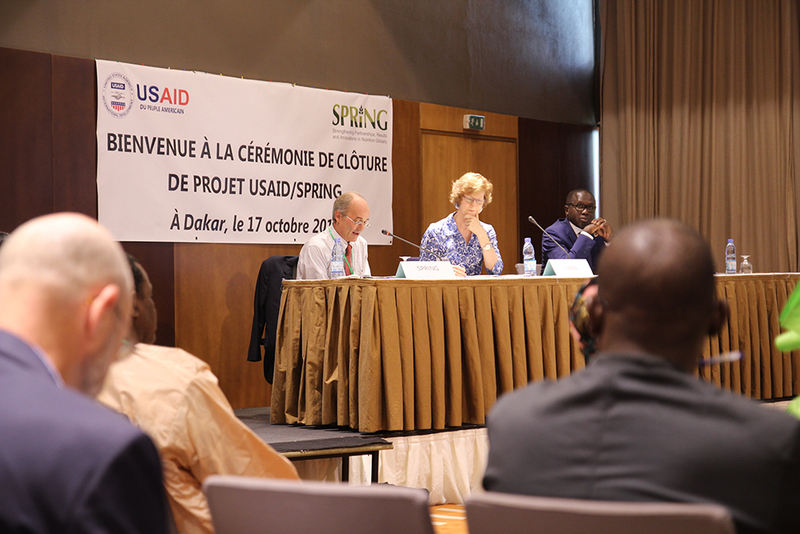 To formally mark the end of the project and celebrate its success, SPRING organized two close-out ceremonies in Kaolack and in Dakar. 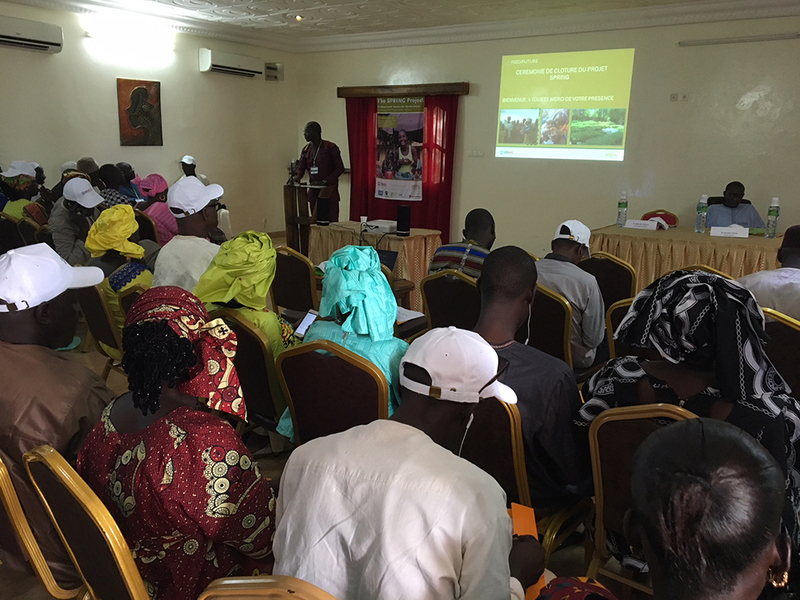 The ceremony in Kaolack took place on October 11, 2017. 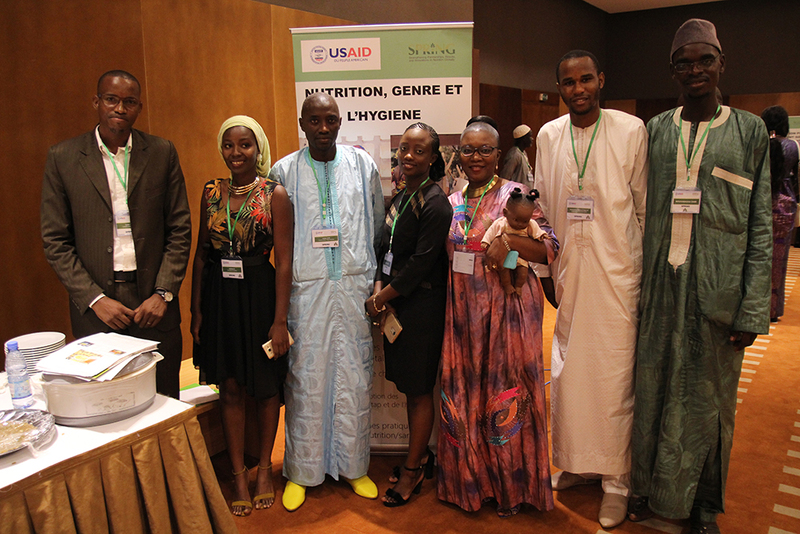 SPRING/Senegal’s Chief of Party, Bob de Wolfe, Dr. Doudou Sene, head doctor of the region of Kaolack and representative of the Governor of Kaolack, and Alioune Badara Fall, the Kaolack regional coordinator of the Unit for the Fight Against Malnutrition (CLM) led the event. 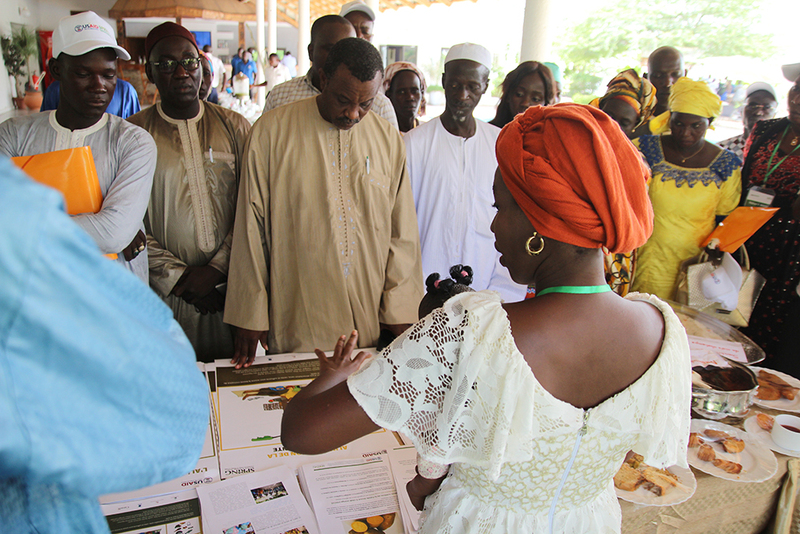 The ceremony honored SPRING staff, partners, and community members and showcased the project’s success in an interactive manner. 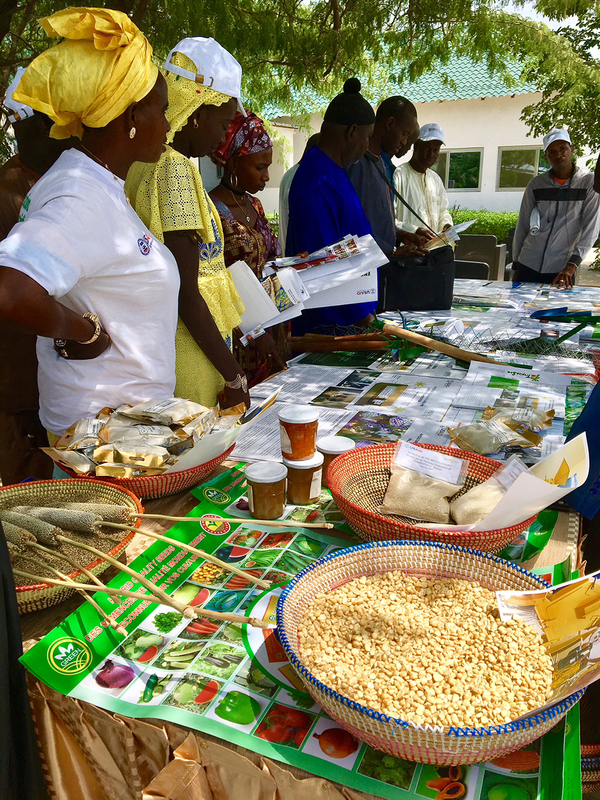 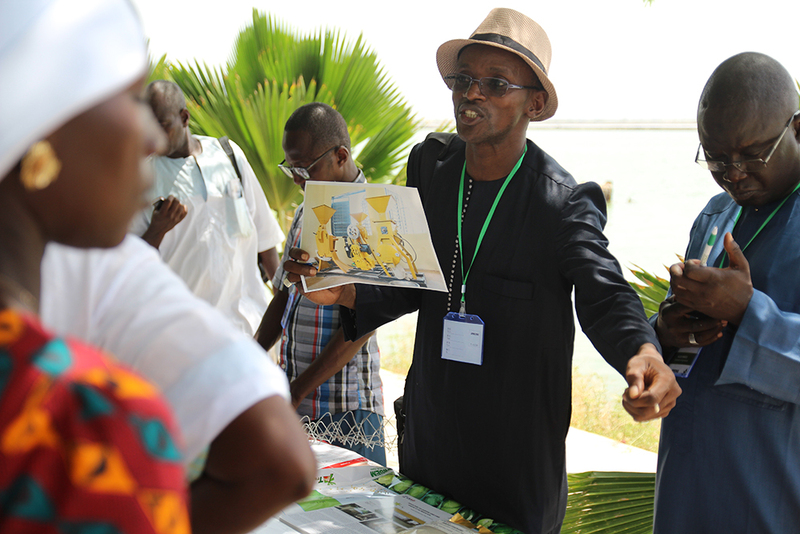 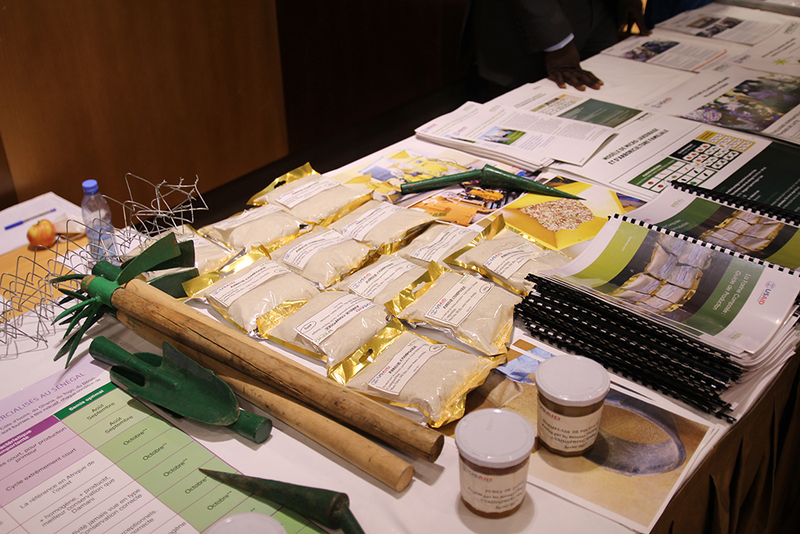 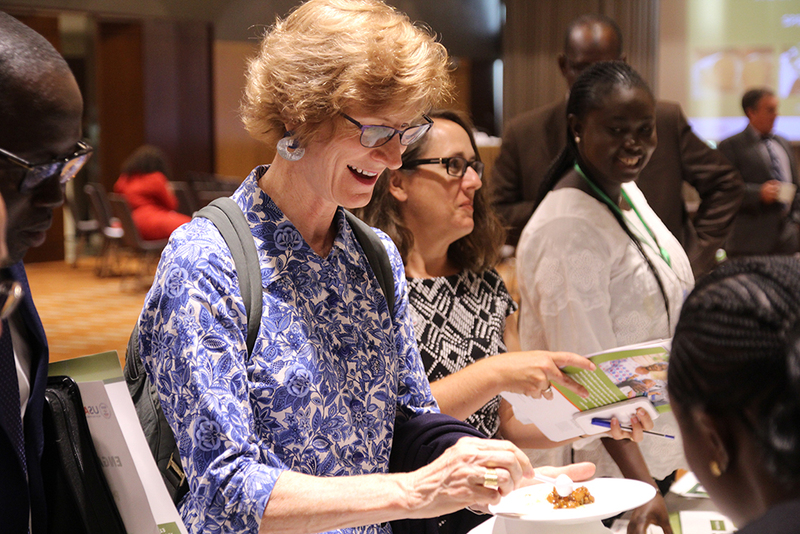 Participants visited different stands to learn about SPRING’s achievements in nutrition-sensitive agriculture, SBCC, gender and WASH. During the coffee break, SPRING provided snacks made from the nutritious agricultural crops promoted during project implementation, including Obatampa maize and bio-fortified millet. 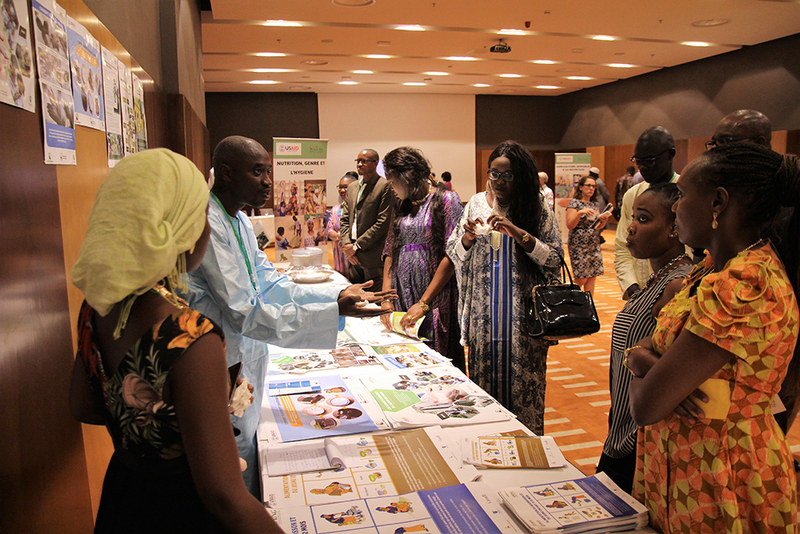 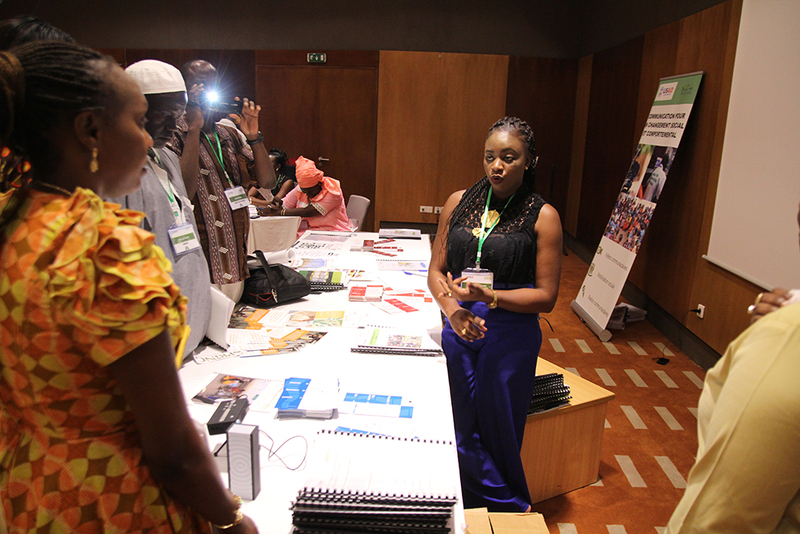 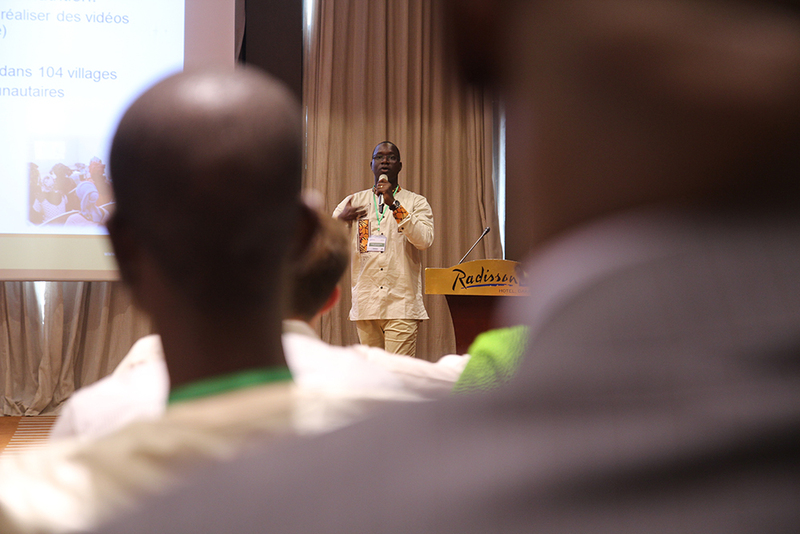 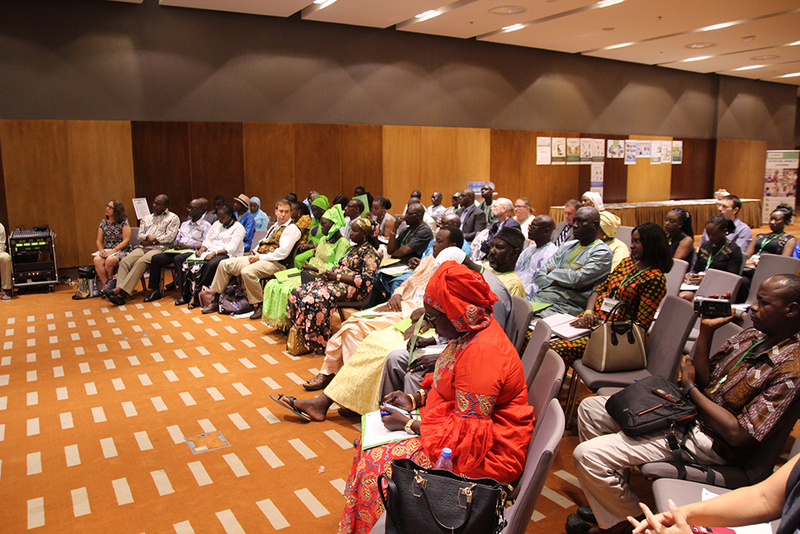 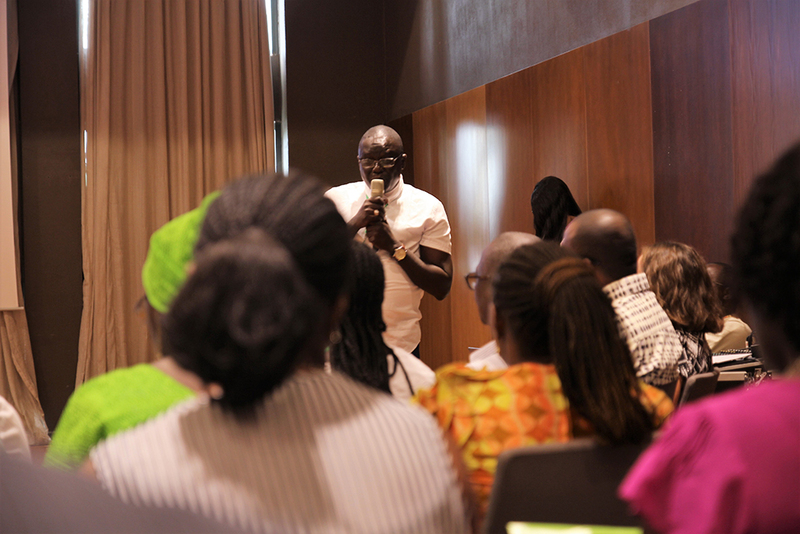 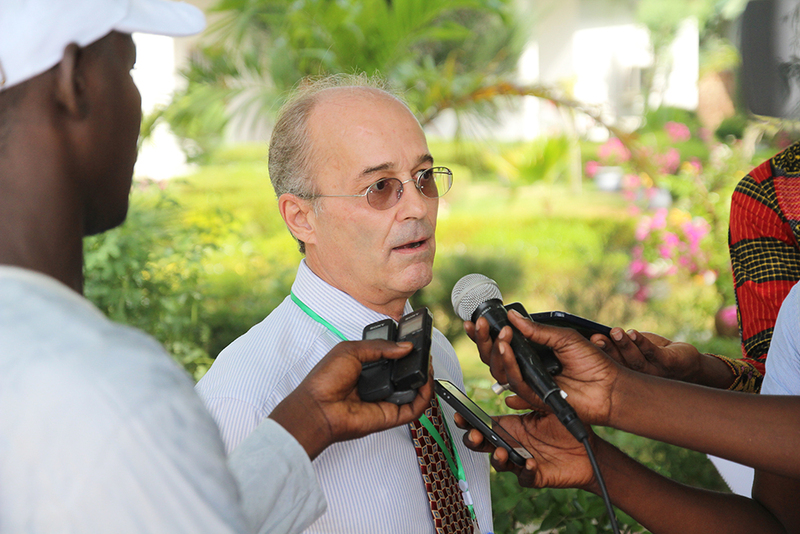 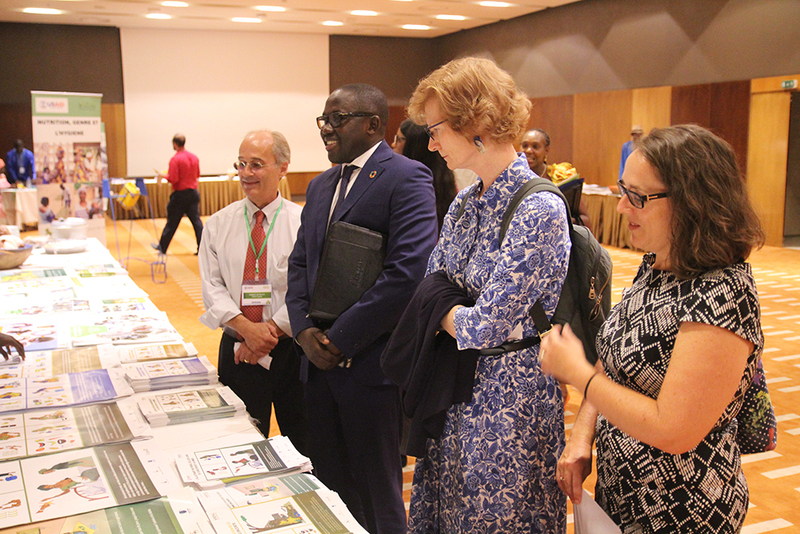 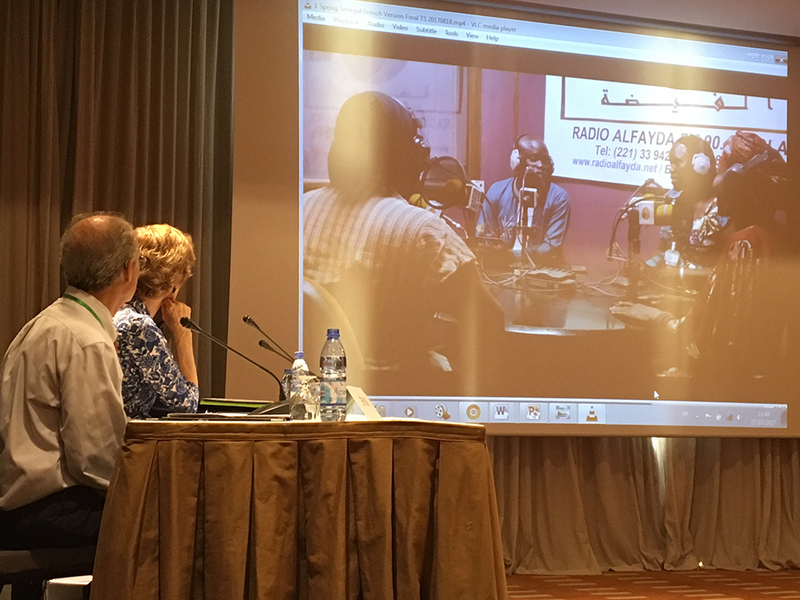 The ceremony in Dakar took place on October 17th at the Radisson Hotel, following a similar format to the Kaolack event, and was attended by SPRING’s partners at the national level. 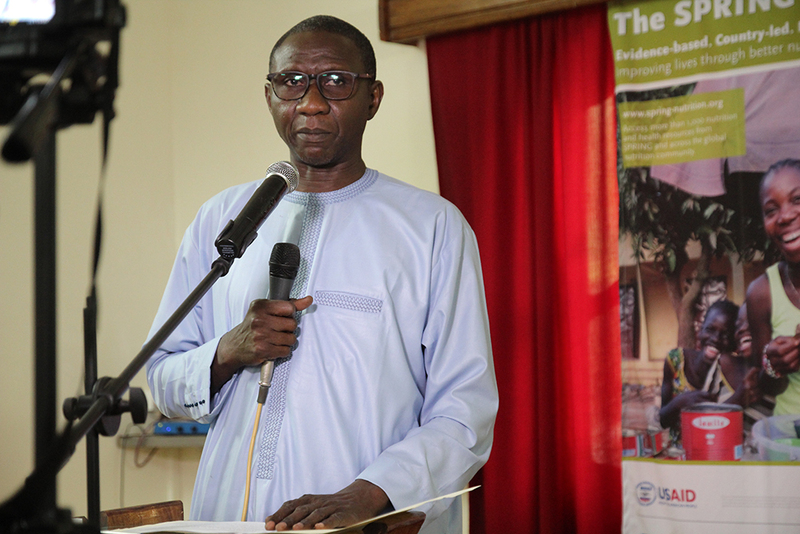 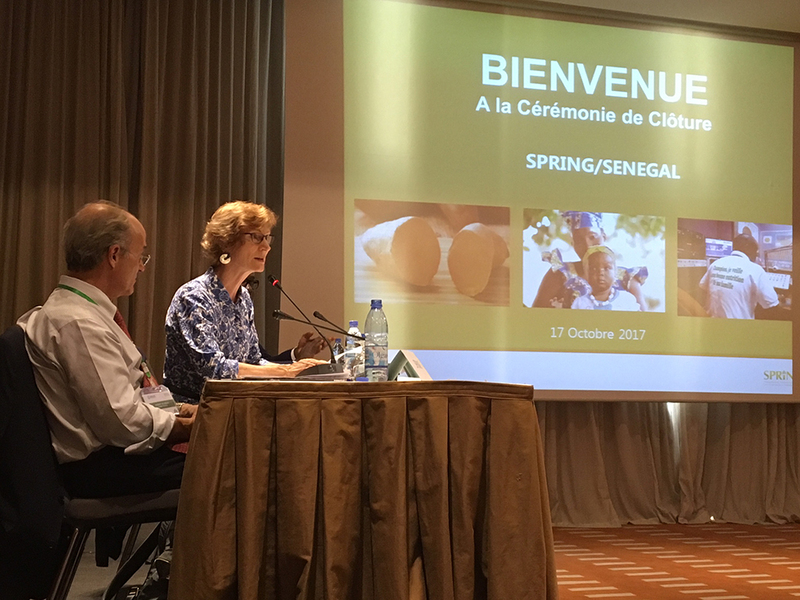 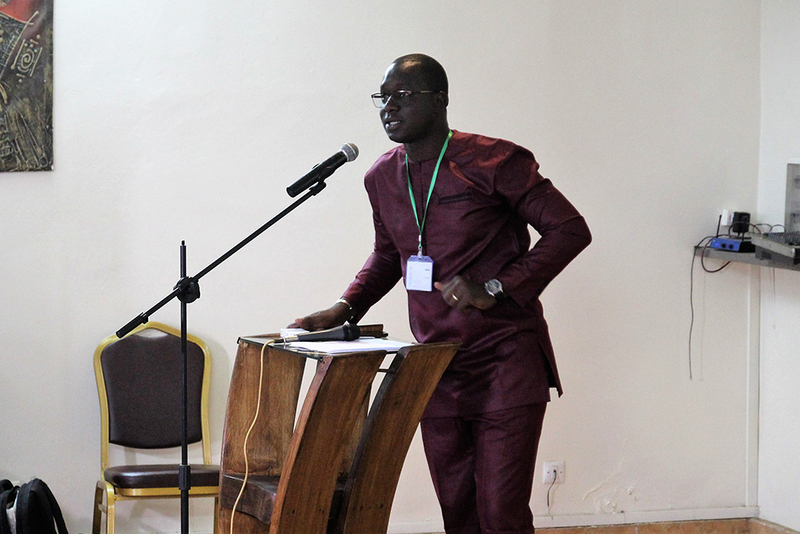 The SPRING/Senegal Chief of Party welcomed guests with opening remarks and SPRING/Senegal SBCC advisor, Albert Boubane, and SPRING/Senegal agriculture advisor, Aliou Babou, gave brief presentations on the objectives and achievements of the project. 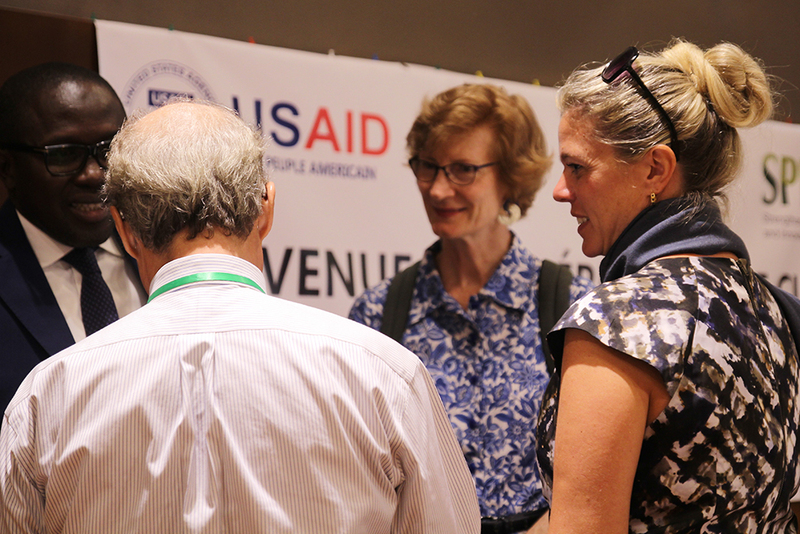 This was followed by a speech from USAID Senegal mission director, Lisa Franchett. 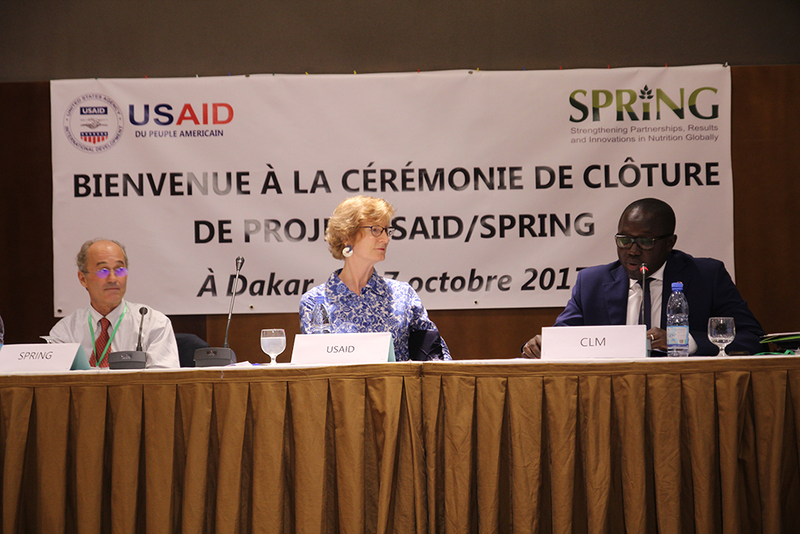 She spoke about how SPRING/Senegal reflected USAID’s dedication to achieving change through local partners and mentioned heartwarming examples of two local women whose lives had been changed from their partnership with SPRING.